The Justin Bieber JustBeats Solo headphones. Down to earth Canadian 'teenage singing sensation' Justin Bieber has lent his star-studded name to a new pair of headphones — the JustBeats Solo. Australian fans don't have to pray for a local release, though — the new headphones are being sold now in Australia, exclusively in the Domayne online store, for $299. 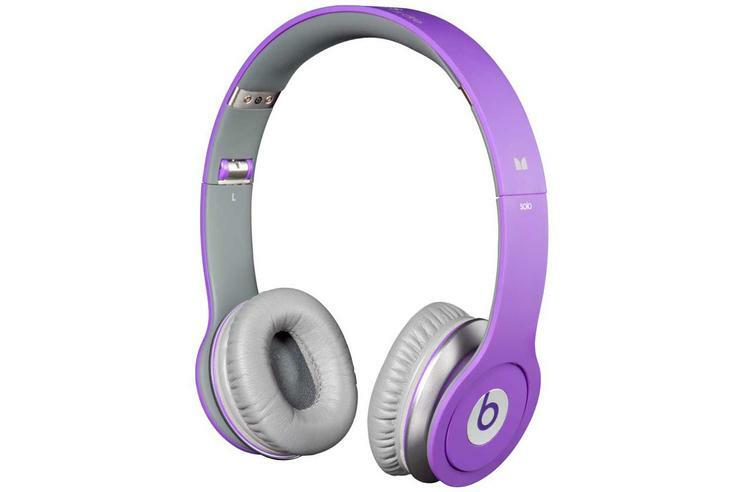 The Justin Bieber JustBeats Solo On-Ear Headphones — with their catchy name and gorgeous matte purple finish (Justin's favourite colour, of course) — are another product from Monster, the company that spearheaded the pop-celebrity audio endorsement machine with the Beats by Dr. Dre and Heartbeats by Lady Gaga headphones. It's possible that the Justin Bieber JustBeat headphones will be a bigger hit than even these models — Justin Bieber is the number one music artist on YouTube, with the song Baby currently sitting up over 482,000,000 views. The JustBeats Solo On-Ear Headphones press release quotes Beats by Dr. Dre co-founder Jimmy Iovine on the new headphones' reportedly high-quality sound: "We asked Justin Bieber to help us with the message of ‘sound really matters’. Young people today are being introduced to music through inferior technology in the form of ripped MP3's, ill-designed laptops and crippled earbuds and headphones. When they listen to music because of the inferior quality of headphones the only recourse they have is volume, which isn't going to do anything but damage their ears. Justin is a great musician that puts a lot of care into his music — who better qualified to take this message to the kids." According to the JustBeats press release, the headphones' 'new level of sound quality' and 'enhanced audio experience' will be a 'major step forward' for younger audiences that have 'never been exposed to high-quality sound'. Australian Bieber fans are able to purchase the JustBeats headphones now. However, Australian Monster distributor Convoy International has confirmed to PC World Australia that the JustBeats headphones will initially only be available in the Domayne online store.